Paul Davis On Crime: From Bestseller To Blockbuster, A Look Back at 'The Godfather' - Today in 1972, Francis Ford Coppola's Film 'The Godfather', Based On The Mafia Epic By Mario Puzo, Premiered. Here's A Look At How The Book Became A Hollywood Classic. From Bestseller To Blockbuster, A Look Back at 'The Godfather' - Today in 1972, Francis Ford Coppola's Film 'The Godfather', Based On The Mafia Epic By Mario Puzo, Premiered. Here's A Look At How The Book Became A Hollywood Classic. 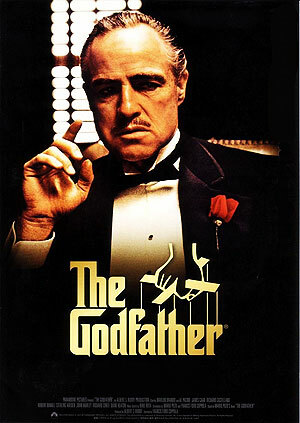 Robert Cashill at Biography.com offers a look back at the The Godfather novel and film. Mario Puzo grew up in New York’s Hell’s Kitchen. As a young writer he knocked around hardboiled men’s magazines, penning war stories. In his mid-40s, he wasn’t getting any younger, and with a wife and five kids to feed, and two flop novels behind him, he accepted a modest advance to write a third. It was based on stories he heard on the street. The author of the book most beloved by wiseguys had never met a gangster. 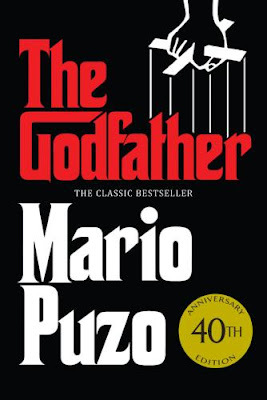 The Godfather proved a sensation, as a book and as a movie, released today in 1972. Puzo had no illusions about a novel that through the decades has sold more than 30 million copies. “I was 45 years old, I owed $20,000 to relatives, finance companies, banks and assorted bookmakers and loan sharks. It was really time to grow up and sell out,” he recalled. Filmmaker Francis Ford Coppola was also in hock. He’d won an Oscar for co-writing 1970’s Best Picture winner, Patton, but the four features he’d directed, including the intimate drama The Rain People (1969), had a much lower profile in Hollywood. Unhappy with Tinseltown, he and fellow filmmakerGeorge Lucas opened a more experimental outfit, American Zoetrope, in San Francisco in 1969. Coppola borrowed $300,000 from Warner Bros. for his dream studio, and Lucas made his directorial debut with its first film, the downbeat science fiction story THX 1138 (1971). When it tanked, Warner Bros. wanted its money back. At 32, Coppola was at a crossroads.